When you develop regular headaches and migraines, you want to consider alternative solutions to address the situation. By using chiropractic care and natural treatments in the Dallas area, you reduce the impact of a headache and start improving your lifestyle without complicated side effects. At the APEX Wellness Center, our chiropractors offer natural and holistic solutions to reduce pain from headaches and migraines. Headaches and migraines occur when you experience pain in your head. Generally, a headache is a mild and uncomfortable stemming from a specific cause or situation. For example, a headache may occur when you feel stressed and tense. Migraines have similar causes, but may develop without obvious reasons. In most cases, a migraine is more intense and painful than a headache. Our chiropractors at the APEX Wellness Center in Dallas offers chiropractic adjustments to address pain from a headache or migraine. The adjustments improve the function of your spine and alleviate pain caused by poor function, poor posture or minor injuries to your back and neck. By improving the spinal function, you avoid specific problems causing the pain in your head. At the APEX Wellness Center, we take a holistic approach to treatment. In certain situations, we may recommend massage therapy or cold laser therapy to alleviate pain and discomfort. Massage therapy works by reducing the tension in your shoulders and neck. It reduces pain and helps your body relax, which limits the discomfort in your pain. Since headaches may stem from tension in the neck and shoulders, addressing the discomfort helps alleviate your pain. Cold laser therapy helps with pain and discomfort by addressing deep-tissue tension. It also reduces the amount of pain caused by pinched or entrapped nerves, which improves the function of your neck and spine. The reasons you experience headaches and migraines may relate to your physical health and well-being as well as stressful or difficult situations. At our clinic, we recognize the possible reasons for your discomfort and provide natural solutions to help reduce the pain. Nutritional supplements help when the cause of your discomfort is a nutritional deficiency or a problem with your body's absorption of certain nutrients. Our chiropractors evaluate the situation and make recommendations for supplements or dietary changes. We may also recommend essential oils to further relax your body with comforting aromas and oils. The oils we suggest depend on your needs and the situation, so we may suggest different options over time as your body heals and you experience fewer headaches. 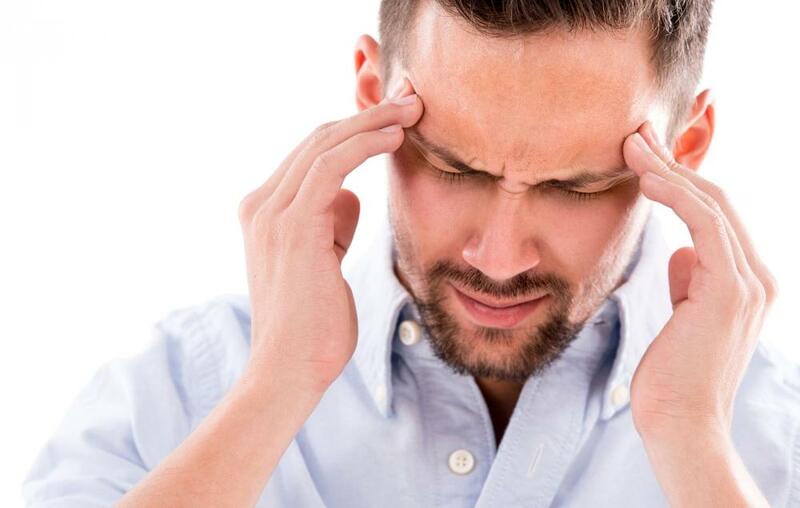 Pain in your head occurs when you feel uncomfortable, stressed or after certain injuries. At our clinic, we recognize the possible causes of your pain and we take measures to help reduce the discomfort with natural and holistic treatment solutions. To learn more about chiropractic and natural treatments for migraines or to set up an appointment with a chiropractor at the APEX Wellness Center, contact us today at 972-392-9402.